Tasmania has over 200 individual vineyards so even if you aren't specifically seeking them out you are sure to come across them in your travels around the state. Tasmania is ideal for growing cool climate grapes and producing quality wines. Having mild Summers and long Autumn days similar to Europe the foundation is set for producing great Riesling, Chardonnay, Sauvignon Blanc, sparkling wines, Cabernet Sauvignon and Pinot Gris and of course Pinot Noir. At the cellar door you are likely to meet the producers themselves with vineyards ranging from small husband/wife operations to the larger producers. Some of the larger ones have meals available.If you are very keen on tasting sessions a day out with a personalised tour operator is a great option. Otherwise you can tour the Tasmanian Wine Routes easily by car. 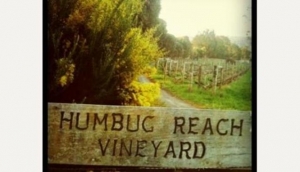 The islands wine routes include the Tamar Valley, north of Launceston and east to Pipers River; the Derwent, Coal River and Huon Valleys which are close to Hobart, as well as vineyards on the East and North West Coast.